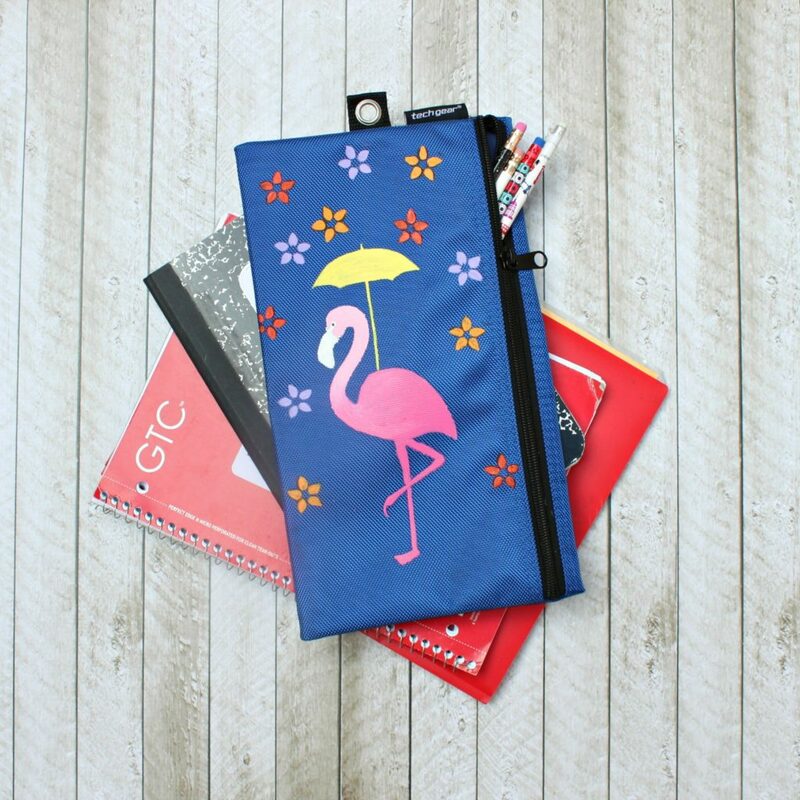 This fun flamingo pencil pouch is perfect for back to school! 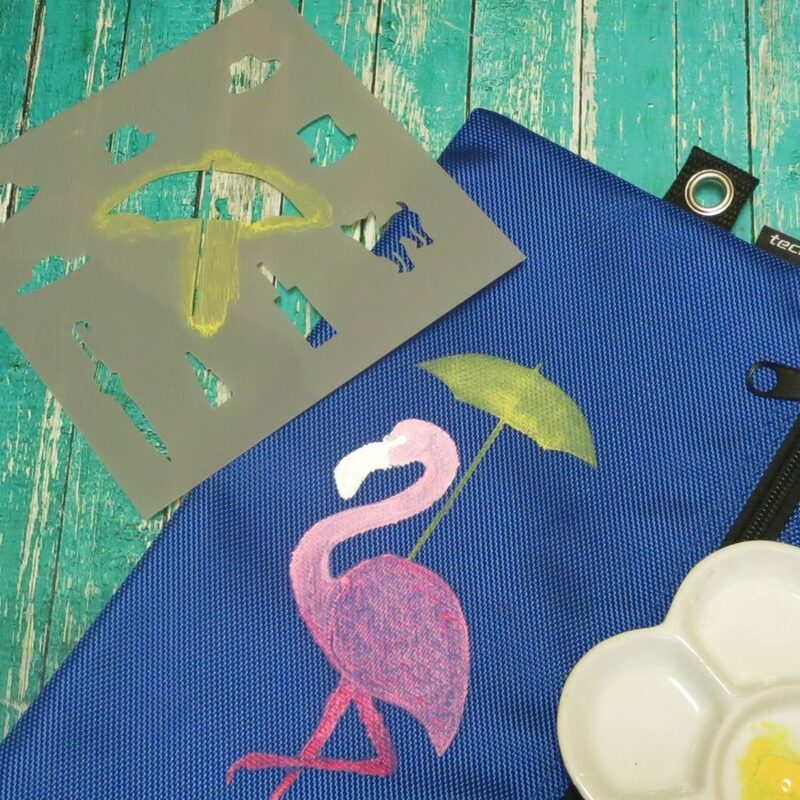 Use stencils with DIY fabric paint to create any design you like one fabric. Here’s how I did it. Step one: Mix the paint with the fabric medium. Fabric Medium helps you turn “regular” paint into fabric paint. The paint dries soft instead of stiff and won’t flake off. Mix two parts paint with one part fabric medium. I use measuring spoons to make sure I get the correct ratio. 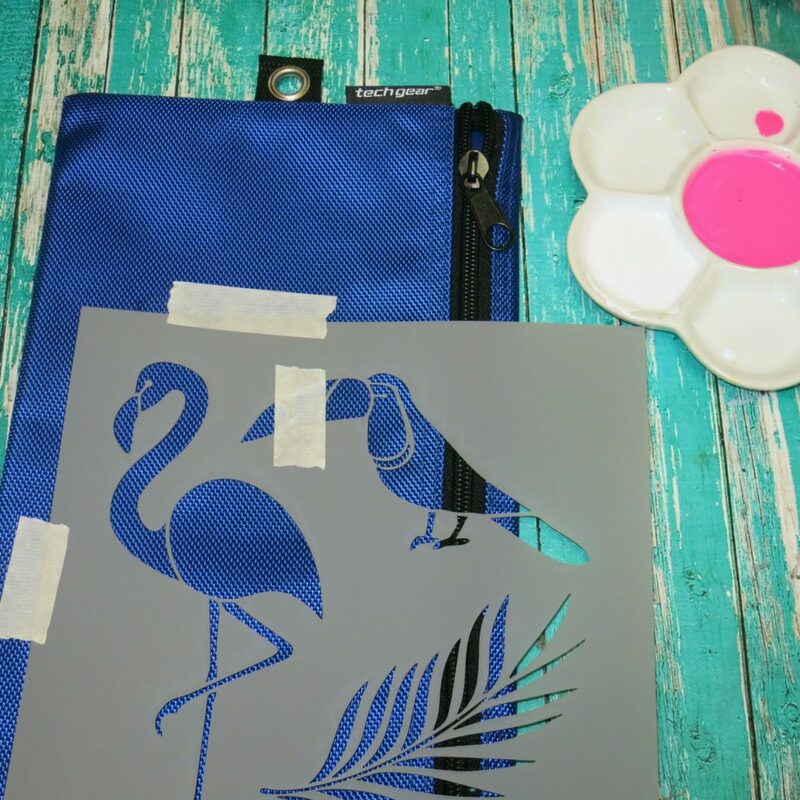 Step two: Place the flamingo stencil on the pencil pouch. Use a stencil brush to dab the white paint over the head and neck of the bird. 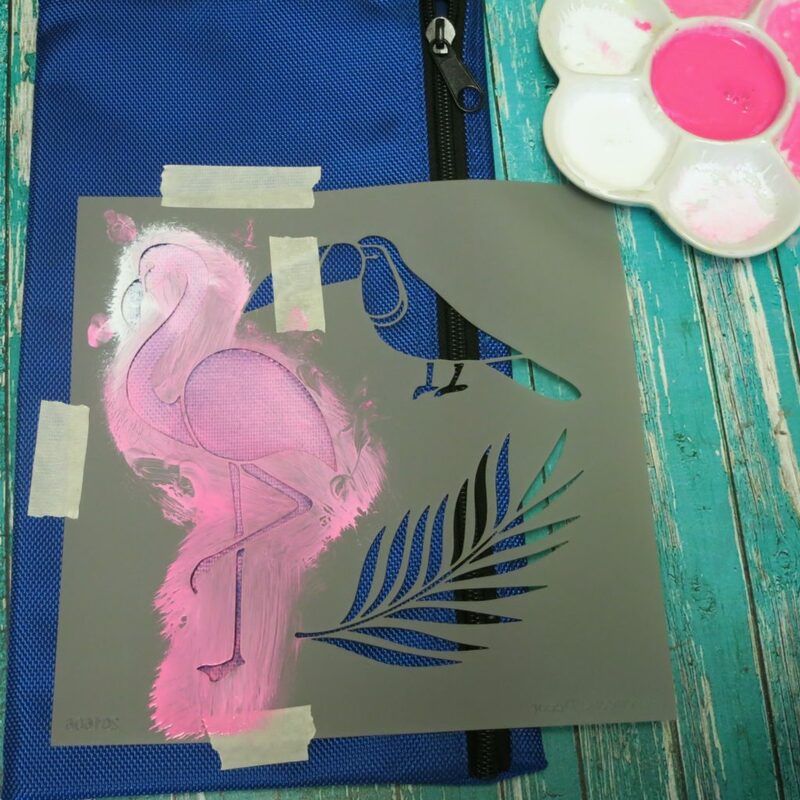 Step three: Add pink paint to the stencil brush without cleaning the white paint off. 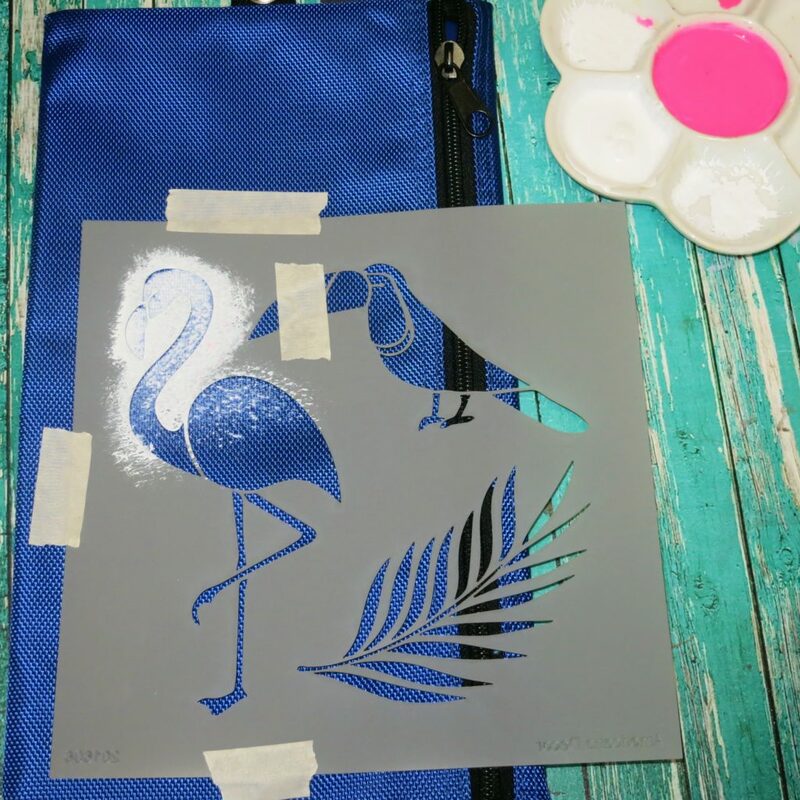 Continue dabbing paint over the stencil to fill in the flamingo shape. This will create a gradient effect, with the color becoming darker as you move down the stencil. Remove the stencil. Step four: Use a fine tip brush to touch up the stenciled image and add more color as needed. Step five: Place the umbrella stencil over the flamingo. Dab yellow paint that has been mixed with the fabric medium over the stencil. Remove the stencil and let the paint dry. 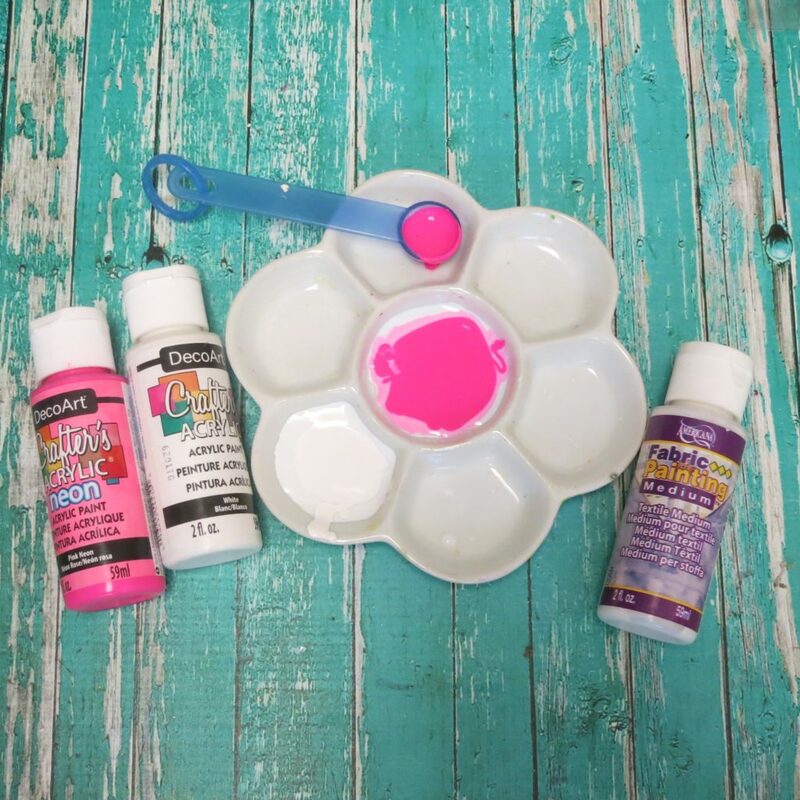 Step six: Place the flower stencil on the pouch and use various bright colors to create the flower shower. I actually used this pouch when I traveled to hold our passports and boarding passes. It was the perfect size and so cute to tote around! Now my daughter will use it for school. 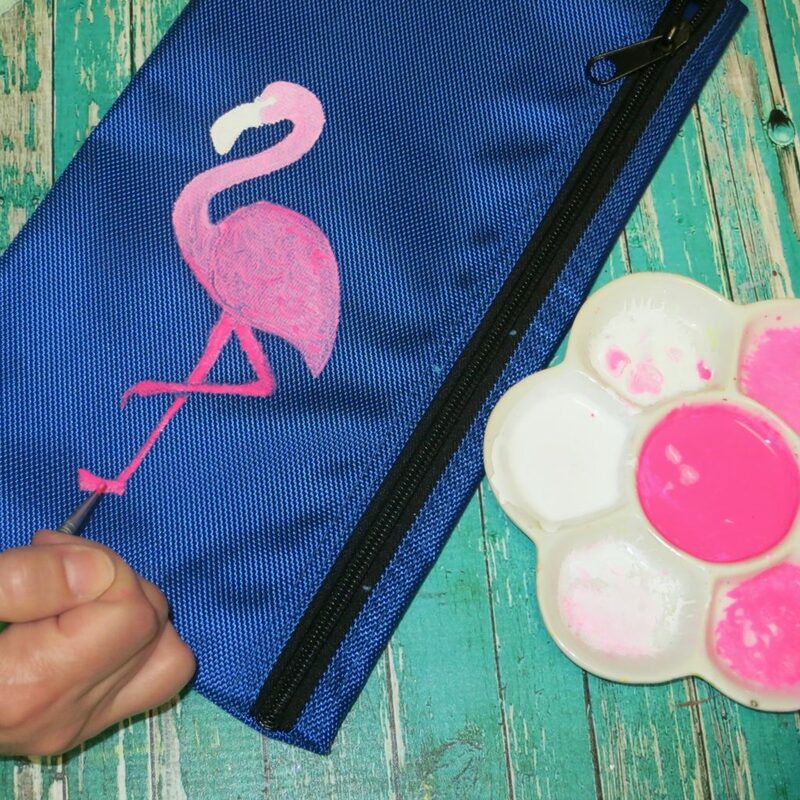 Have fun crafting and creating this flamingo pencil pouch! I created this project for DecoArt and it was originally published on their website. Previous articleSpooky Halloween Clock Tutorial: Skeletons and Bats, Oh My!